Martinique, locally named Madinina - The Isle of Flowers, is centrally located in the heart of the arc formed by the Antilles (14° 40’N, 61°W), between Dominica to the north (40 km) and St.Lucia to the south (30 km), separating the Caribbean Sea and the Atlantic. The island covers 1,080 km2, and stretches 80 km in length and 39 km in width. No point is more than 12 km from the sea! The rugged landscape is a blend of rich volcanic mountains, verdant hills, and white and black sand beaches. 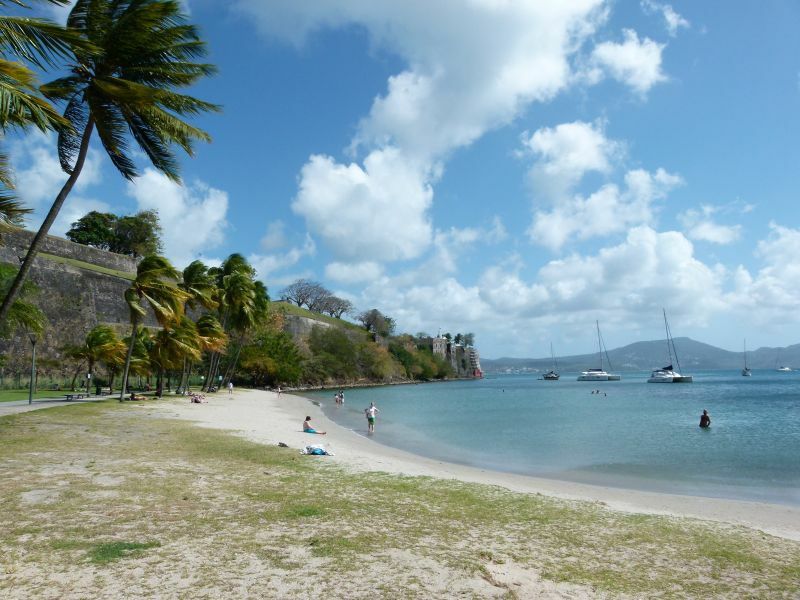 Martinique benefits from a maritime tropical climate, with mild temperatures and steady trade winds. Late November to mid-June is the dry season (carême) while June to December is known as the rainy season (hivernage). Like many of the West Indies isles, Martinique was populated some 2,000 years ago by the Arawaks, a peaceful people exterminated about 1,000 years later by the warlike and expansionist Caribs. Christopher Columbus landed in Martinique in 1502 on Carbet beach, during his 4th expedition. In 1635, Belain d’Esnambuc set foot on Carbet and started the first colony on the island. The town of Fort-Royal, currently Fort-de-France, was founded in 1669. Sugar cane underwent a tremendous development at the end of the 17th century. Galley-slaves as well as slaves from Africa were brought to work the plantations. The English interest in the fertile island of Martinique, resulted in numerous conflicts and changes in rule between 1762 and 1848. In 1804, Joséphine de Beauharnais (born in Trois-Ilets), wife of Napoléon Bonaparte, became the French empress. Under the pressure of Victor Schoelcher, the decree of 27 April 1848 confirmed that slavery was abolished in all of the French colonies, liberating thus over 70,000 slaves in Martinique. On May 8th 1902 the eruption of Mount Pelée completely destroyed the town of Saint-Pierre, also known as the Little Paris of the West Indies. All of its 30,000 inhabitants perished, with the exception of a single prison inmate. Afterwards, Fort-de-France became the capital of the island. In 1946, Martinique became a French département d’outremer; today, it is also part of the European Union. Martinique has some 400,000 inhabitants. In this plural society, blacks and mulattos cohabitate with descendants of Indians (brought from India in 1853 to work the plantations after the slaves had been freed), as well as békés, white creoles descended from the first European settlers. The city of about 100,000 inhabitants is a stunning mixture of modern buildings, colorful creole villas with wooden verandas and narrow, busy alleys. Full of life, noise and color in the daytime, Fort-de-France turns into a deserted town at nightfall. French is the official language. Creole, spoken by almost everyone, is a language that conveys spontaneity and emotions, a legacy of a time when American Indians, Europeans and Africans used a simplified French to communicate and understand each other on the plantations. Catholicism is the dominant religious community in Martinique. 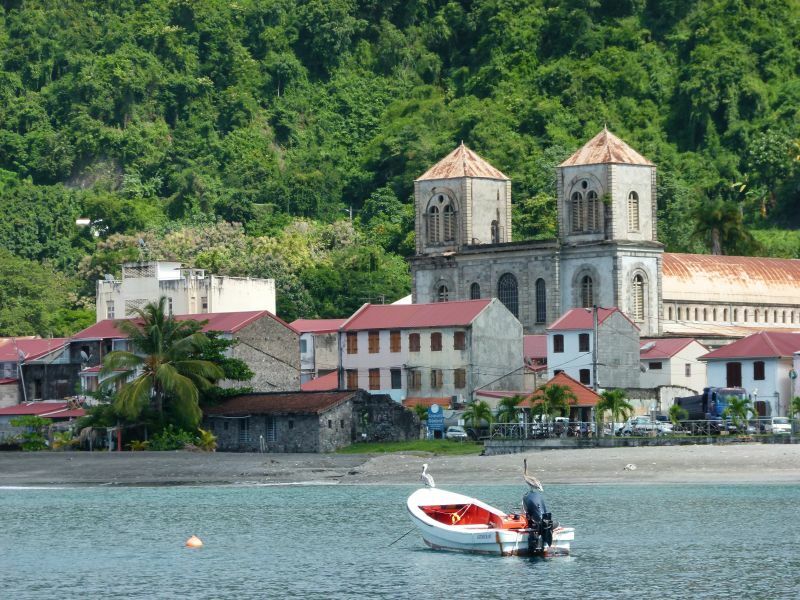 The largest church, the Saint-Louis Cathedral, is in Fort-de-France. Judaism, with a synagogue in Schoelcher, and Hinduism are also represented. Superstitions and a belief in magic, inherited from African cultures, remain an important part of the lives of many native Martiniquais.